We are a family-run comfort footwear shop in Katong, Singapore. Founded in 2018 by a Pedorthist and Professional Shoe Fitter, we carry a range of comfort shoes, insoles, and feet care products that help with common foot problems. Simply put – we specialise in matching people with comfortable shoes and insoles which are suitable for their feet type. As a small retailer – we realise there’s no point in hyping ourselves up like bigger shoe stores and retail chains. 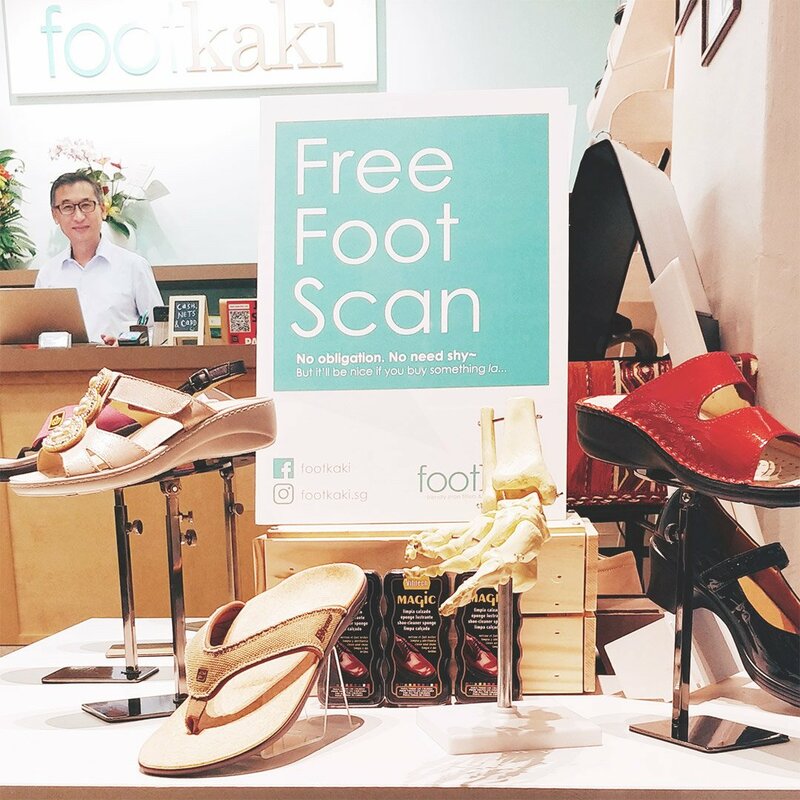 We’d rather be upfront and sincere with you about who we are, and why we set up a little shoe shop called Footkaki. Our shop is bootstrapped and independently owned. Definitely not a profits-focused franchise. Being independent allows us to run our shop according to our values, and good old Kampung values mean a lot to us. And what would those values be? Well, we believe in making comfortable shoes more affordable to people who need them. We also want to make professional shoe fitting more accessible so that people from all walks of life can afford to care for their feet. That’s why we offer our Foot Assessment & Professional Shoe Fitting services for FREE. You see, being small means that we don’t have customers – we only have Kakis (friends). And Kakis don’t let Kakis pay more than they need to for comfortable shoes that do not harm their feet. Of course – we’re not a charity. We must still make enough for a living, and grow Footkaki to serve you better. Still, you should know that we value and appreciate our Kakis. When Footkaki started, we only had 2 tables at travelling roadshows and health screenings. 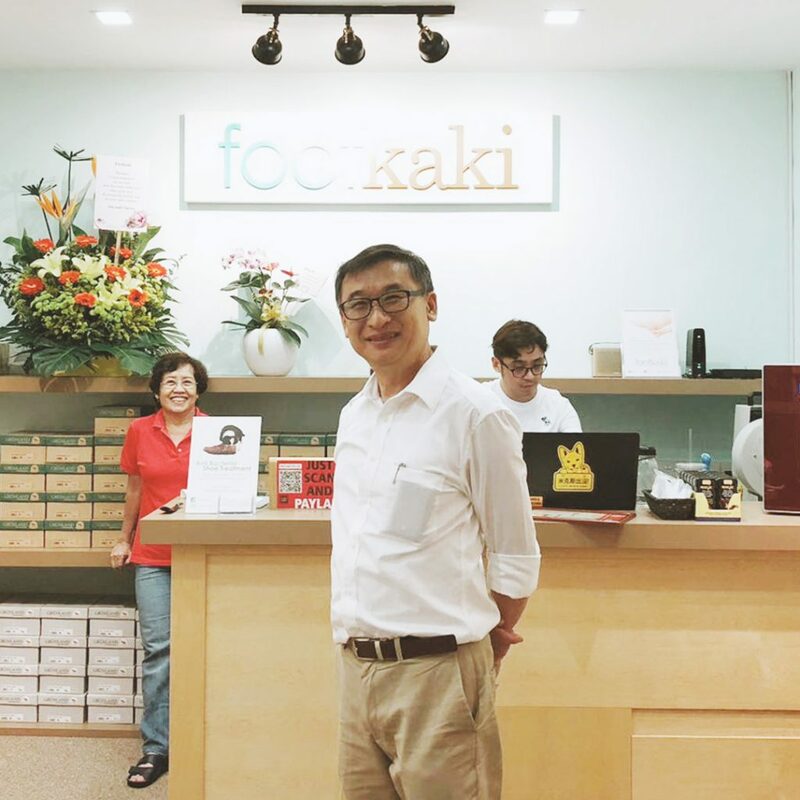 Now, we have our own little shop at Roxy Square in Katong, which would never have happened without the support of family, friends, and the local Podiatry community. So here’s to you too – because the Footkaki story would not be complete without our Kakis. Frankly, we don't have a huge inventory. We painstakingly assess shoes and insoles for quality, comfort, value, and affordability. For a Kaki with foot problems, the last thing you’d want is to be in pain, uncomfortable, ripped off, and stuck with an imitation or poor quality product. As fellow shoe-wearers (duh), we know that. That’s why we are continuously exploring affordable and reliable solutions for common foot problems. You can find established comfort brands like Grünland, Spenco, Vionic, and Ziera at our shop – alongside up-and-coming quality brands like Archline and Revere. If we don’t trust it, we won’t sell it. Period. Of course, nothing beats seeing a Podiatrist for serious foot issues. Owen – our founder & Pedorthist – couldn’t agree more. If we assess that you need further medical attention, we will definitely refer you to a Podiatrist, and advise you on how to see one comfortably within your budget. We're good with hard-to-fit feet. We have shoes and sandals made to accommodate wide feet and bunions. In the event that we don’t have a fit for you, we can order it in if you’re patient enough to wait. Although our shoes and insoles are affordable, they are not cheap. There’s a base price to meet for quality and comfort, and despite our already low margins, there’s just no way around that. If budget is a constraint – we’ll still do our best to find a solution. We provide Shoe Modification Services which can be used to improve your existing pair of shoes. This is a more viable option for Kakis who can’t afford a new pair from our shop. However, this depends on the kind of shoe (sadly, not much we can do for flip-flops). Regardless of your budget – we’ll always give you the same high level of professional and personal service. We’re not snobs. Lastly, we want to be accountable for our footwear recommendations. All Kakis receive 6 months of fitting support and guarantee against manufacturer defects for footwear purchased from us. You definitely won’t find this service in most other shoe shops. If you’ve read this far – thank you for your attention in this age of TLDR. Do drop by our little shoe shop – we’d like to meet you, of course – and after all, small local businesses like us need your support. As a Pedorthist & Professional Shoe-fitter, Owen has decades of experience in helping people with foot problems. He enjoys working closely with Podiatrists to solve their patient’s problems, and is knowledgeable in matching people with comfortable shoes for their feet type. He is also skilled in modifying footwear to accommodate different foot problems. 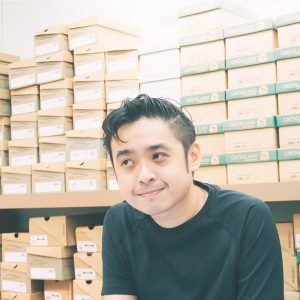 Before starting Footkaki, Owen was the poster boy/ah-pek for some high end orthotic shoe shops. It was there where he realised that due to expensive prices, many people avoid orthotic shoe shops despite having painful foot problems. So he decided that a different kind of shoe shop was needed. It had to be a shop that cared for people’s feet more than profit margins. 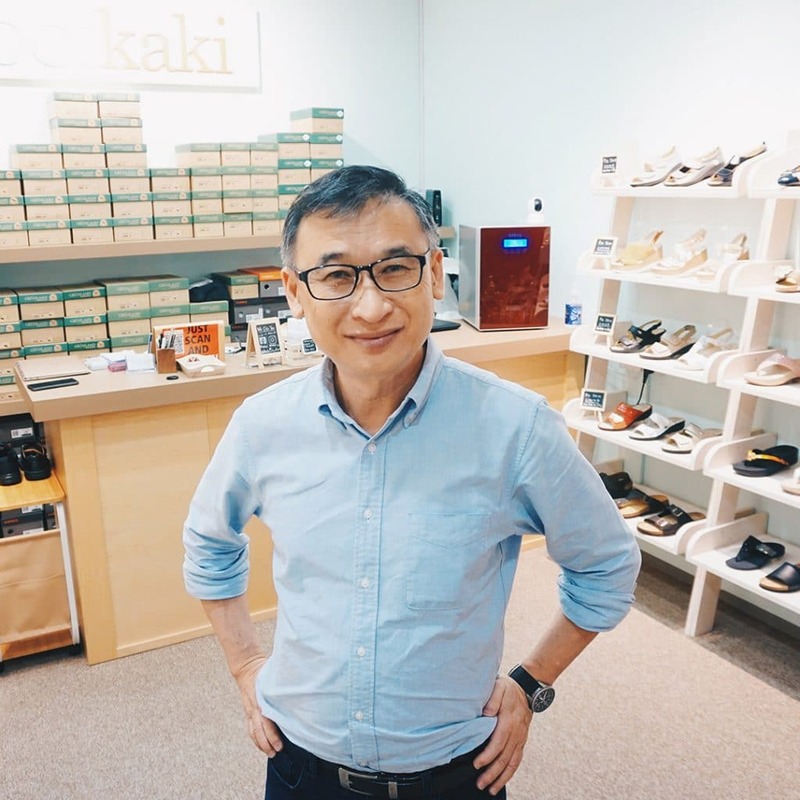 By making prices and professional shoe fitting more affordable and approachable, he hopes that Footkaki can help make comfortable shoes more accessible while building greater awareness of foot health in Singapore. You can find out more about Owen’s story here. 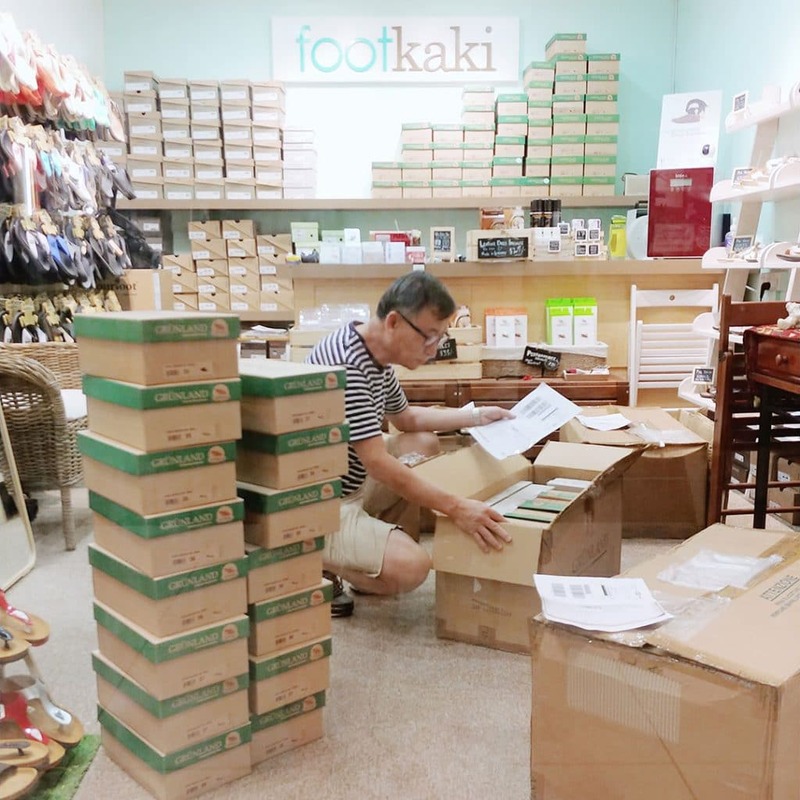 As a small shop hoping to make comfortable shoes more affordable, Footkaki has to DIY many things to keep costs down. Clarence takes care of that behind the scenes, tackling stuff like admin, inventory, marketing and more so that savings can be passed onto our Kakis. He also makes sure that the cats and butterflies in Footkaki’s window display are well cared for. When not working at a startup, Clarence drops by Footkaki to help Owen with shoe fitting (also learning from his father’s experience). Eventually, he aims to become a qualified professional shoe fitter. Clarence likes to put people at ease and understand their needs – a skill he picked up from earlier stints in social services, social enterprises, and education.